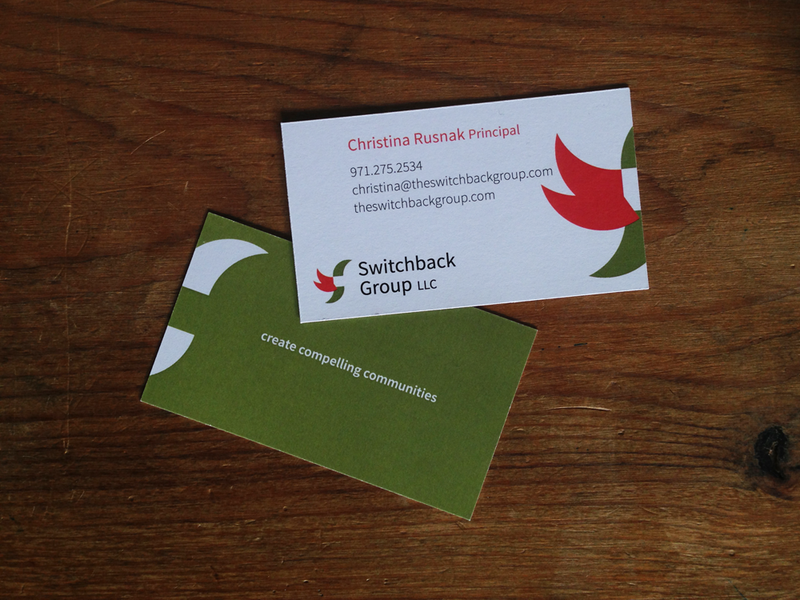 Switchback works with communities in arts and cultural planning efforts. We wanted a mark that stood out, and that drew attention to her role in building communities. The hummingbird is from a South American indigenous story about how even the smallest members contribute to their community.